Nature's Pet Herbals is a family owned and operated company that specializes in products for the health of pets. All of their products contain medical-grade Cannabidiol , commonly known as CBD. 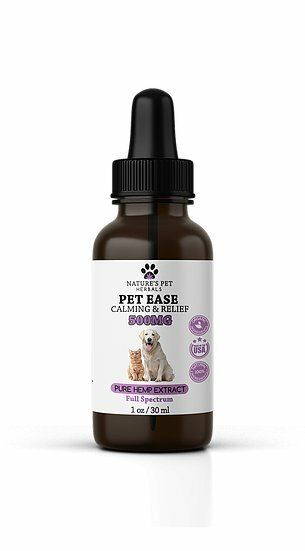 Their CBD oils, sprays and treats are made and sourced in the U.S.A. Nature’s Pet Herbals provide safe, healthy and therapeutic compounds that help alleviate various conditions. Since their products contain zero THC, there are no psychoactive effects. CBD products are Veterinarian approved and recommended. Their CBD products are 99% pure and are produced with the highest quality control standards. CBD is one of over 60 compounds found in cannabis that belong to a class of molecules called cannabinoids. CBD is a non-psychoactive.